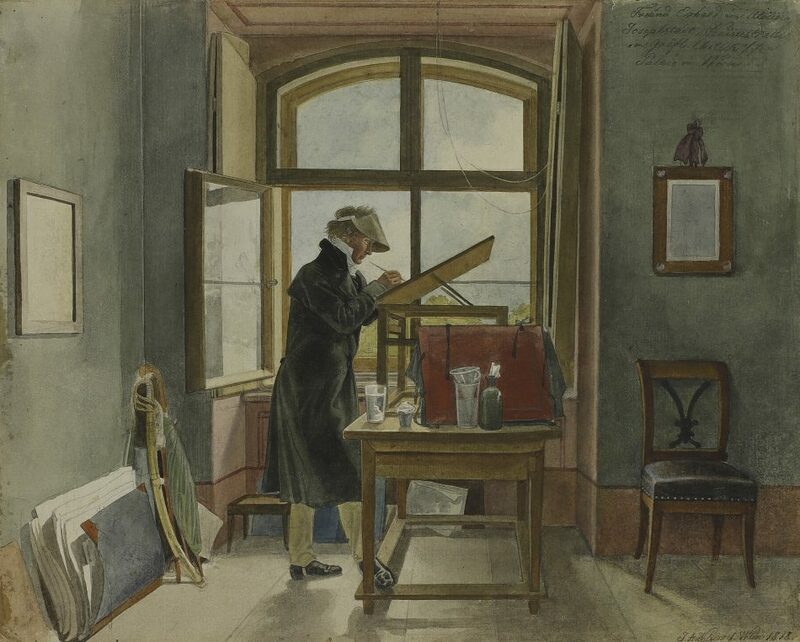 Once again, Fondation Custodia is offering us an exceptional exhibition of rarely seen drawings. Taking advantage of the closing of the Pushkin Museum for renovations, Ger Luijten and Marina Lochak directors of Custodia and of the Pushkin museum have agreed to show these chefs d’oeuvres for the first time in Paris. 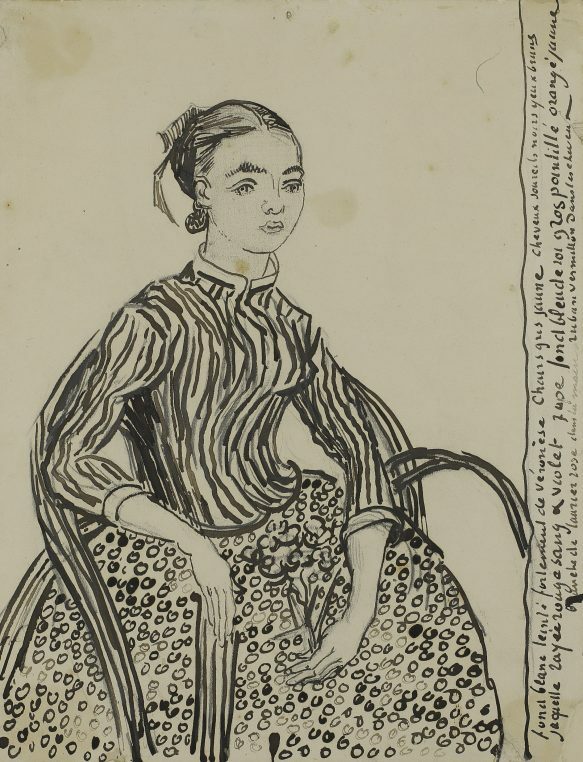 195 of the 27 000 drawings kept in the Russian museum’s collections are hanging at rue de Lille. 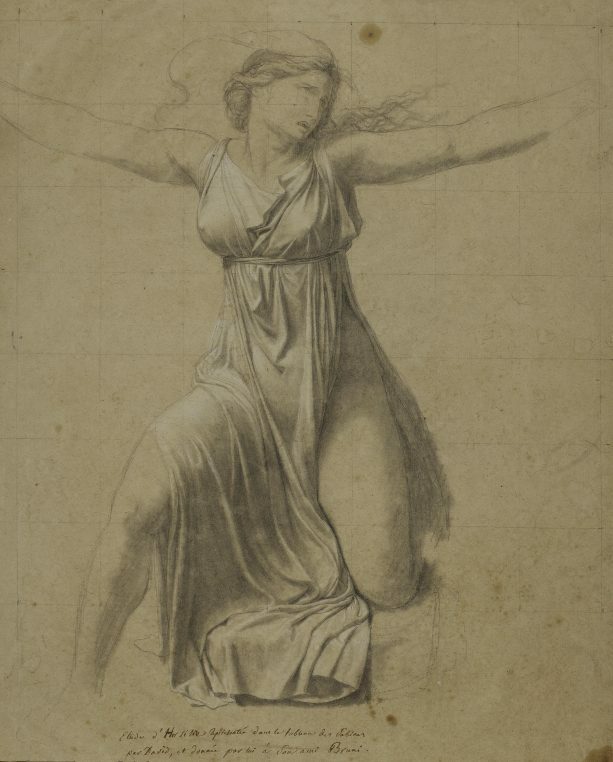 Drawn over a span of five centuries, these works by Albrecht Dürer, Carpaccio, Rembrandt, Poussin, Matisse and Picasso, show what fervent collectors the Russians were in the 19 th century and what a great eye, the initiator of the collection, Ivan Tsvetov, had in 1912 when he opened the drawing galleries. It is a mind-blowing show with ancient drawings on the first floor and 20 th century in the basement. The atmosphere in the galleries was studious and concentrated. Amateurs of old drawings are usually serious art lovers. And yet the intimate feel of this private house converted into a museum makes it a soothing and wonderful moment for the visit. 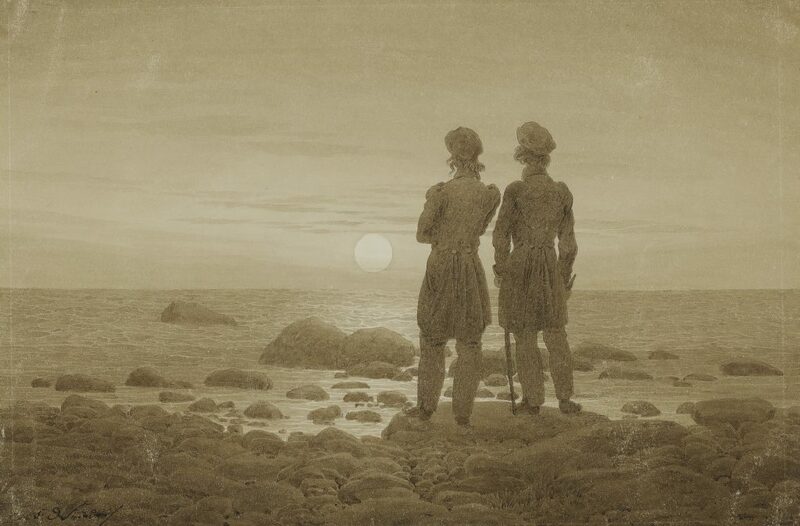 I loved the “Young sleeping woman” by François Boucher hanging over the fireplace, and the multicolor “Rocks on the waterside” by Allaert van Everdingen, and wondered why there were so many Caspar David Friedrich who is a favorite of mine. Well, apparently Russian collectors took to his art when the Germans started being tired of him. 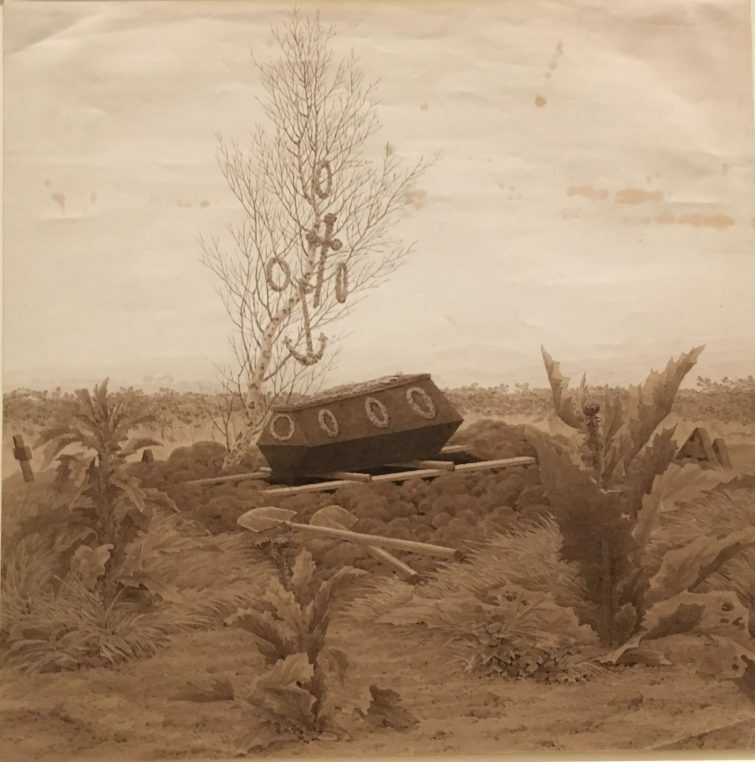 “Coffin on a fresh tomb” is a true “modern” chef d’oeuvre. 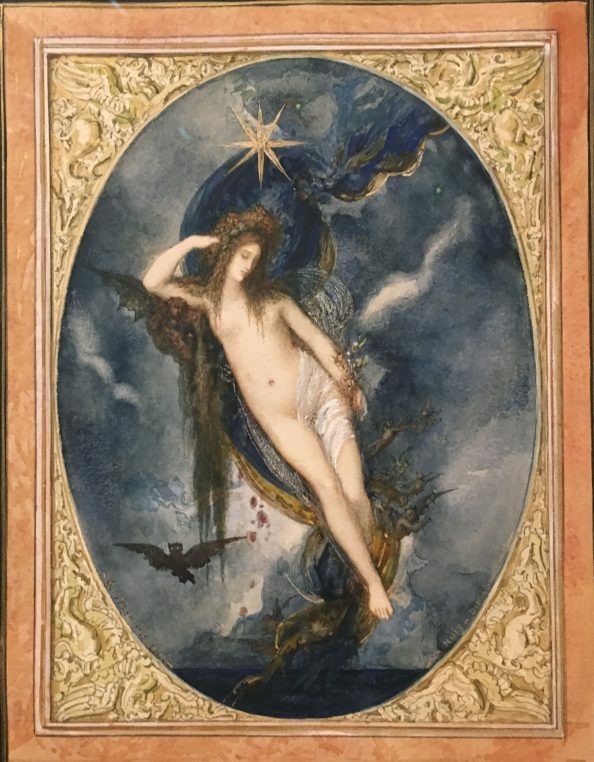 “Night” by Gustave Moreau a watercolor and white gouache is extremely pretty and Vincent Van Gogh’s rare “Portrait of a young woman” is unique. Dowstairs, after having gone through a corridor where the smell of fresh lilies made me feel very happy, I fell for Kandinsky’s “Composition”, 1991, and Vladimir Tatline’s “Polish Szlacbcic” and a whole room of Picassos. “A fisherman” by Matisse a “Child in the field” by Malevitch, Juan Gris and a few George Grosz, all enchanted me. There is something discreet and intimate about drawings that goes against today’s fashions. And this is what I particularly like at Custodia: nothing is done to impress the masses. Every single show is beautifully hung and people know it, because the queues are getting longer and longer. Make sure to visit this new show which lasts until May 12. A catalog is published and can be acquired in the shop. Fondation Custodia, 121 rue de Lille, near the Assemblée Nationale. Fantastique exposition. Merci Laure. Courrez ici. Attn. l’exposition n’ouvre qu’à 12H. Superb and overwhelming exhibit – so many masterpieces. Impossible to take it all in on one visit for me. A once-in-lifetime chance if you love fine drawings.